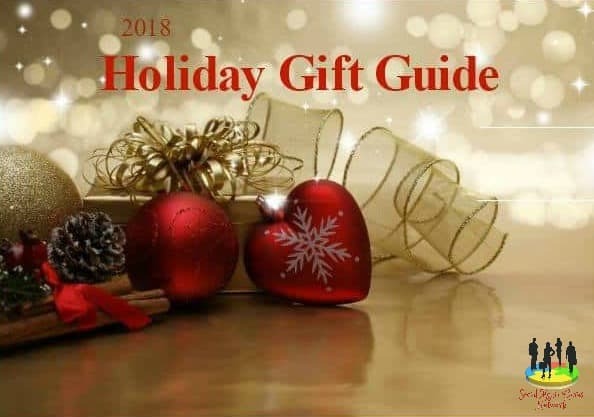 Holiday Contest and Sweeps along with a great group of fellow blogs proudly present a great giveaway from a New Sponsor of Holiday Contest and Sweeps, Enchantails. This incredible Slumber Bag Set will be on every little girls Christmas Gift List. 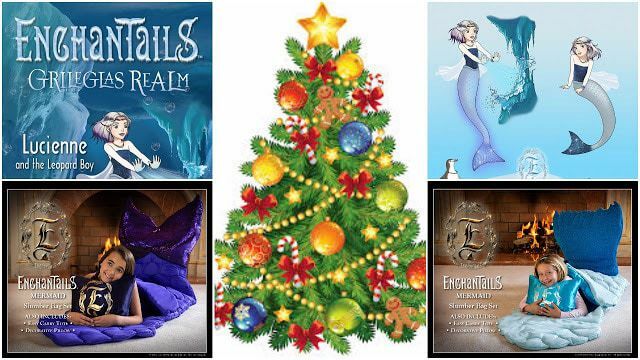 Enchantails was founded by Southern California entrepreneurs Tristy and Mark Viniello, who are parents to four girls. 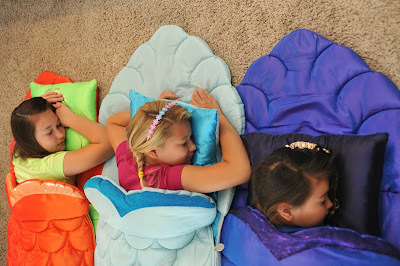 Their new mermaid slumber bag sets each come with a themed storybook that blends real-life places in the ocean with longstanding mythologies about mermaids from around the globe. Each bag is made of soft fabrics with glow-in-the-dark thread for extra magic. 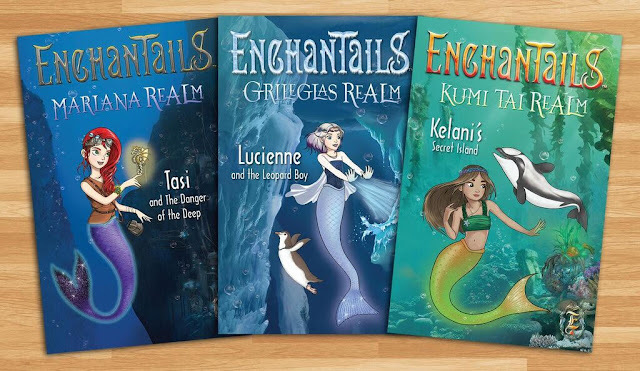 The books, which “take kids on adventures with the independent-minded royal mermaids,” are set at a 4th-5th grade reading level. 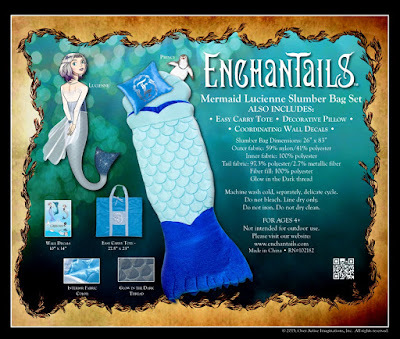 The set also includes a carry tote for easy storage, a decorative pillow, and lovely wall decals featuring the Mermaids with their Sea Buddies. Let’s take a look at the complete sets of bags, books, and decals.